For anyone that has been offended by what they have just read I suggest they refer to George Orwell’s essay: ‘Politics and the English Language’ (1946) or to ‘dog-whistle politics’ on wikipedia. The Free Market appears to be a logical utopian vision but it is also being criticised for leading to the failure of the banking system and the questioning of Capitalism. As the debate continues one of the biggest questions that should be asked is why do monopolies exist in a free market? If during the last decade regulation has been too weak and markets too free why didn’t monopolies get broken by free competition? There are a number of reasons, some political, but perhaps the greatest is the lack of transparency in business and the free market. With hindsight most people can see that the complex repackaging of toxic debt relabelled and sold as AAA grade investment was not only unethical but also improbably stupid. Yet it happened. Some would argue that this was down to lack of regulation but the more regulation you have the more complex the system becomes and exactly the same hidden problems will eventually arise but just in a different light. The problem is that the language of the products sold and the illusion of the free market fooled people into naively not looking too hard at what was being traded. Some people did act unethically but I suspect a lot of people were just playing a system that they genuinely believed was stable. Now ignorance isn’t necessarily a defence for incompetence but further regulation just provides an even greater level of misplaced reassurance as problems bubble away. Would these problems have occurred had the products sold been transparently labelled as toxic and in a free market why didn’t this automatically occur? The collapse of various banks has led people to portray Capitalism as a system that feeds off the people through a competitive ideology rather than support the people through cooperation. Yet if you do any research into charity models you begin to question how ‘companies’ that make no profit and pertain to do good in the world seem to achieve so little but still manage to pay such generous salaries. Maybe both sides of the ideological battle need to swallow the bitter pill of transparency. This is especially true if you receive any sort of state support or tax benefits from the people. There are many systems in our civilisation that are corrupt but hopefully the human species isn’t one of them. Maybe Competition + Transparency = Cooperation? What is the human species’ goal? Is the meaning of life to sustainably survive, to conquer and expand, or to experience and learn? Or maybe that is the three part cyclical evolution of the human species on Planet Earth? Is it time for the human animal to expand and conquer new planets or is the power of the internet going to provide the tipping point that enables us to learn how to evolve a more sustainable lifestyle? Rousseau proposed that the systems of civilisation erode the morality/humanity of Man. Where previously the rich had a duty of care through philanthropy to assist the poor now the Welfare State unsustainably provides. We have centralised and dehumanised both sides of the ‘Wellth’ scale. On one side you have humans working the mechanisms of rich corporations that play the tax avoidance system and on the other you have humans not working but playing the welfare system. By centralising systems you increase efficiencies but decrease humanity the most awe inspiring asset of the human animal. Maybe the Infinity Loop will help balance this Social Equation? A decentralised model for corporations as frameworks rather than legal entities may also be an important evolution. How much of our human qualities are due to memes rather than genes? Does society just evolve towards numerous tipping points? If we were told the UK population was drastically declining to extinction, would we rise to the challenge and start breeding rapidly? Is the opposite not the case as the world population exceeds 7 billion and keeps on growing? Does our ability to quantify and transfer data assure our survival assuming we are adept at reacting to the results? Is the internet enabling a global realisation that we are reaching a new environmental tipping point which requires a drive towards sustainability? Will this sustainability be achieved by conquering new territories such as solar and nanotechnology? The evolution of our species is the story of systems. What systems would you like to see evolve? 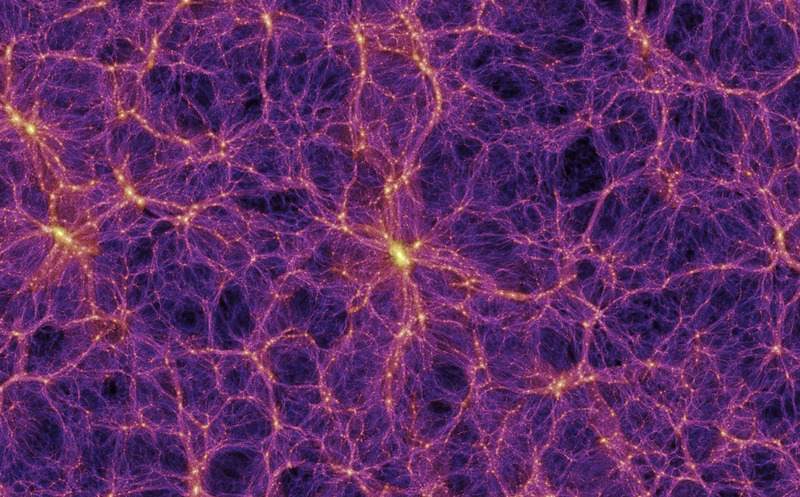 Millenium Run: The Internet or the Universe? Our civilisation is held together by a series of systems. As the human population has grown over time these systems have been added to or evolved to accomodate different social dynamics. Many of these systems work on the basis that the human animal is stupid and can only deal with its new dense surroundings peacefully by being controlled. These control systems often cause tensions which result in wars as the paradoxes and hypocrisies are revealed. Is the human animal programmed to be eternally at war with itself? The internet represents a Utopian model of the world, a Distributed Network (DisNet) where human knowledge flows in a virtual pool accessable to anyone able to use a digital portal. In this Utopian vision do we want to see controlling systems determining what it is best for us to be reading, viewing, learning? With inventions like the iPad the internet can literally be read like your own personal book comfortably on your lap. Never has knowledge been so freely and easily accessable. What will our generation do with this new power now a bite has been taken from the Apple? Is Twitter the beginnings of a new political system where the Market expresses it’s views through #DisNet creating a network of needs to be balanced by our Social CEO’s? Fears about control of the internet may be insignifcant compared to the growth of cloud computing. As a digital model it appears to contradict the decentralised merits of the internet where everybody controls their own knowledge and data by storing it locally. This approach means a virus can only affect one user’s data at a time. If information is centralised in a virtual ‘cloud’ is not the risk for excessive control, corruption and collapse inevitable? Perhaps our more enlightened readers can share their thoughts on how the internet can evolve in a positive direction? The End? 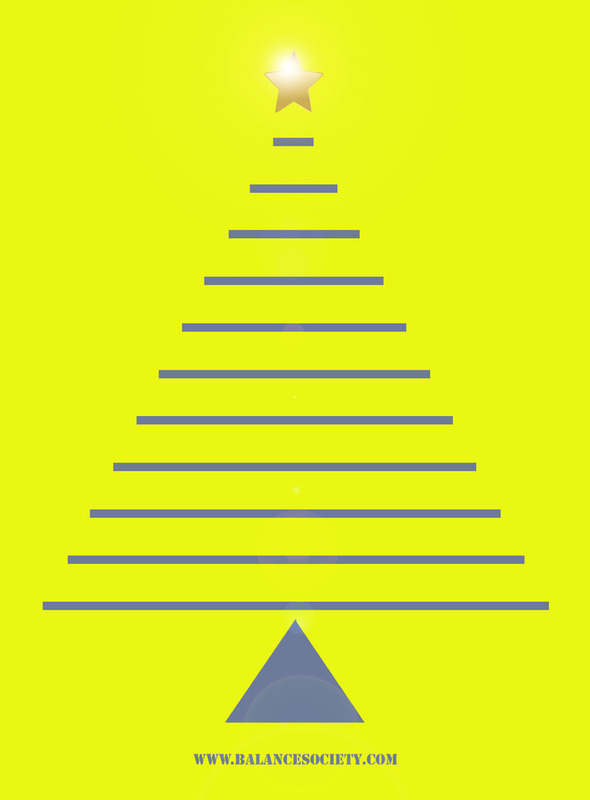 All of us at Balance Society wish you a Merry Christmas and a Happy New Year! As we begin to see light at the end of the recessionary tunnel, governments around the world are advocating an entrepreneurial spirit to lift society into a new era of growth. Unfortunately the reality of a boom and bust economy is that, while those with little free capital struggle to survive, the wealthy are finalising patents, partnership agreements and investment deals which will guarantee rapid success in the next decade and no doubt create yet another recession in ten years time. It would help greatly if governments inspired entrepreneurs with a realistic ladder to climb when at the moment too much time is wasted building the ladder. The main barrier to success in society is that it is often unclear as to the next step needed in developing ones self. Fortunately the power of the internet provides a mechanism to research for free any topic of use and this helps break down exhausting barriers. We forget that the internet is a relatively new invention and one that is greatly underestimated for the potential it has to improve society. 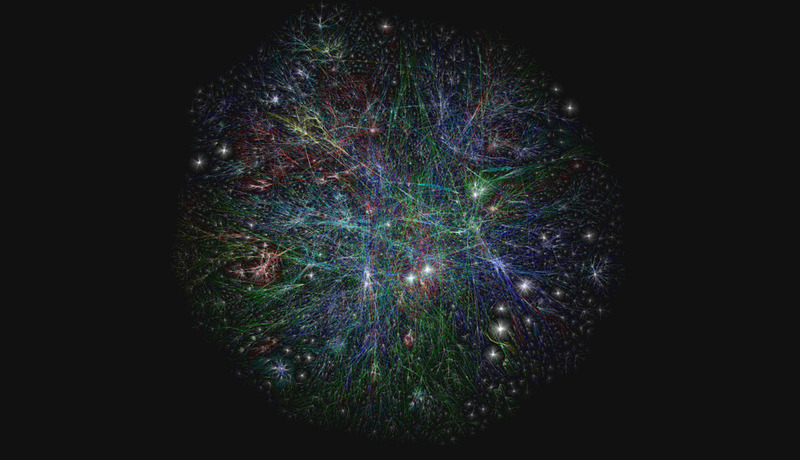 The internet represents a distributed network model where a simple framework or ‘world wide web’ enables the distribution of knowledge thereby short-cutting bureaucracy, hierarchy and general middlemen. While systems such as Twitter have been used to bring down dictatorships, the internet will inevitably lead to the evolution of democracy and capitalism in the coming years. The existing capitalist model relies on monopolies and centralisation to fuel consumptive growth. It requires a level of control which ironically contradicts the ideals of the free market it so advocates to increase profits. This has led to an erosion in morality, cultural identity and community as problems caused by this process have been moved out of sight and out of mind. We see the internet as a key tool to put these social challenges back into focus so they can be solved by a global community. On a smaller scale the internet, a tool not discussed in the latest government retail review , is also the mechanism to empower local communities and high streets that have lost their identity and soul. Sir Francis Bacon famously said that ‘knowledge is power’ and with the birth of the internet we may now have a digital prophet to help balance society.